a few notes – first, make sure you use great, high-quality cheeses for this recipe. the cheese is what makes the dish so wonderful, so you’ll want to use types that lend rich flavor + texture to the sauce. i opt for extra-sharp cheddar + a delicious aged parmigiano-reggiano when i make this, + the flavor combination is sinfully good. if you prefer a milder cheddar or even a white cheddar, you can certainly use those instead. how good is this mac + cheese? so good that as soon as it came out of the oven, i dug a fork right into the baking dish + started nomming. so good that i barely stopped eating long enough to snap a picture of it, hence the picture above, which does not do this mac + cheese justice! it is the creamiest, richest, most flavorful mac + cheese that i have ever made. it is a wonderful accompaniment for pulled pork barbeque, burgers, or steak, or it stands alone beautifully as a decadent, comforting main course. enjoy! melt the butter, then toss with panko + topping cheeses in a bowl until combined well. melt butter in medium saucepan over medium heat, then add in the diced onions. cook until onions are translucent + starting to caramelize, about 10-15 minutes. stir in the flour. cook the roux, stirring for 3 minutes, then whisk in milk. bring to a boil, whisking constantly, then simmer, whisking occasionally, for 3 minutes. stir in cheese, 1 teaspoon salt + 1/2 teaspoon pepper, until smooth. remove from heat + cover surface with wax paper. in a large bowl, stir together macaroni, reserved cooking liquid, + the cheese sauce. transfer to a buttered 9 x 9 baking dish. sprinkle topping evenly over macaroni + add fresh cracked pepper. bake until golden + bubbling, about 20 – 25 minutes. i’ve known some people who put sugar in their mac + cheese but i’ve never tried it – did it alter the flavor much? it’s unfortunate that your roommate wouldn’t give up the recipe, but i bet you could re-create it at home with a little trial + error. =) you could add a little sugar to this recipe + see how it turns out. i bet it would be good! Okay…I’ve volunteered to cook Christmas dinner for my family this year, and I thought i had finalized the menu…but after seeing this, I’m going to modify my menu because I think my whole family would LOVE this mac-n-cheese!!! that’s fabulous that you’re cooking christmas dinner — i know you’re an amazing cook + baker, so i’m sure your family is thrilled! depending on how you like your mac + cheese, i have tried some successful additions to this recipe. if you want more savory flavor, you can add finely chopped onions, shallots, and/or garlic to the melted butter right before you make the roux. i let those cook down, sometimes to just translucent, sometimes until caramelized, then proceed with adding the flour, + following the recipe as is. also, if your family loves veggies, sometimes i’ll stir frozen peas in the mixture right before baking. it’s a wonderful recipe as it is, but those are a few changes i occasionally make. it’s up to you depending on how your family prefers their mac + cheese! Oh, you made the mac&cheese! It looks delicious! I’ll be making it on Friday and I’ll be sure to send you the pictures! I think I NEED to make this, Amy! Who doesn’t love homemade mac n cheese?!? Have you ever infused sprigs of thyme or rosemary into the butter? I’m thinking the savoriness of the herbs might add a delicious, deeper taste. What do you think? that is a wonderful idea. i’ve added onions, shallots or garlic to the butter on various occasions + let those cook down/caramelize before proceeding to make the roux. they definitely add some depth. i’ve never used fresh herbs, but would like to try it (especially because we grow fresh rosemary in the yard). would you chop it up + add it to the butter, or just put in an herb bundle + pull it from the butter after the flavor infused? i’d probably go with the latter so you get the flavor but not the added texture. will definitely be trying that in the future! thanks for the idea. I’d definitely make an herb bundle— just infuse the butter with those lovely fresh herbs! I tried using your “facebook share” feature for this article (I know loads of people who’d love this! ), but it doesn’t appear to be functioning properly. I’ll just copy the link and share, but thought you’d like to know. thanks for sharing it, heidi! i noticed that the facebook button isn’t working, too, but i’m not sure how to fix it. it’s just a ‘sharethis’ plug-in so i can’t quite figure out the glitch. i’ll do some research to figure it out. thanks again! Wow… sounds incredible. This will get a taste test this week in our home! awesome! i can’t wait to hear what you think about it. let me know how it turns out! I LOVE mac n cheese! I also posted my recipe (http://viveksurti.wordpress.com/2010/10/25/meatless-monday-mac-cheese/) but I really like your idea of tossing breadcrumbs in butter before baking. I’ll definitely have to use that tip! our recipes actually have a lot of similarities, which is fun. =) mixing butter in with the panko topping does add some richness + depth – you should try it! 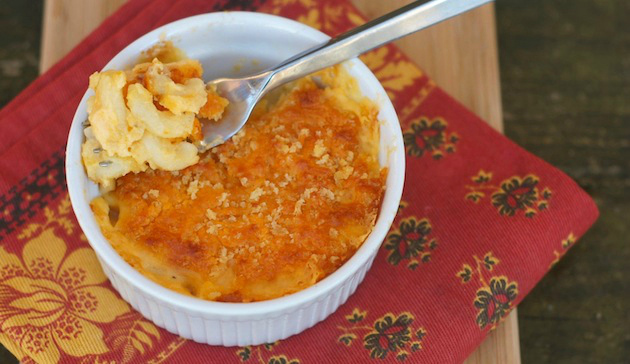 while i use cheddar + parmesan in this recipe, i *do* love mac + cheese with pepperjack. have you ever made/tried park cafe’s jalapeno mac + cheese? it uses pepperjack + is absolutely scrumptious! they printed the recipe in a magazine (i can’t remember which one) a few years back + i made it + loved it. 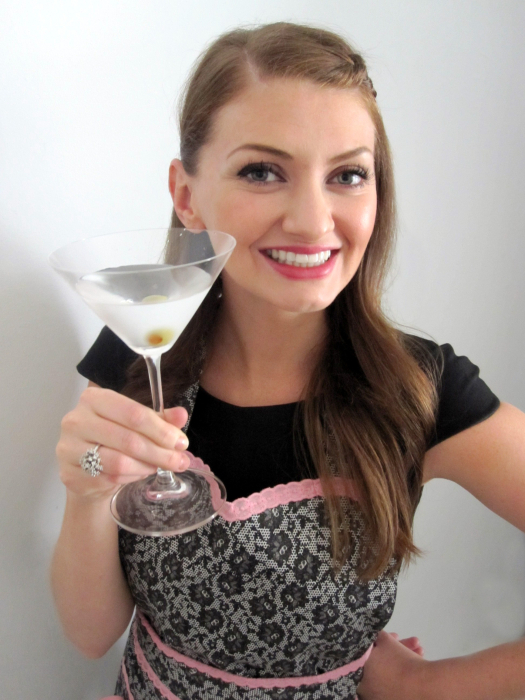 i’m going to see if i have that recipe around anywhere – i’ll forward it to you if you’re interested! amy! first off i totally heart your blog. second, i miss your face, and i’ll def be in nashville this spring at some point so i’ll hit you up. third, i’m for sure making this mac and cheese on xmas eve and i love the idea of serving w pulled pork. do you have a good recipe? my roommate has a crockpot recipe thats a tad meh and i’d love to know yours! 1) if you had a blog, i would totally heart it, too. maybe you should start one? 2) your face is obviously missed. no question about that one. 3) please do hit me up when you’re around! 4) i’m excited that you’re making the mac + cheese! read through some of the earlier comments + you’ll see some suggestions from me + others about adding onions, garlic, shallots, or an herb bundle. just fyi, in case you want to mix it up! 4) we started with a pork shoulder that had been smoked + frozen a few weeks prior (we have friends with smokers, which rocks), so we just finished it off in the oven on a low heat (about 250-275, i believe), covered, with a couple of inches of apple juice in the bottom. cooked for about 6 hours, flipped once. i imagine that an already smoked shoulder might be hard to come across (honestly, though, i have no idea). let me do some research + get back to you ASAP! do you have a grill that you could smoke one on? is it too cold to grill? gas or charcoal? Previous post: christmas brunch menu + a call for ideas! Next post: a tale of two trees. charlie brown trees, that is.